Trigger warning: features non-human characters ending their lives. The world has gone dark and you are the last of your kind that still possesses the ability to combust. Get to the bottom of what's happening. My submission for Mini Jam 2nd Edition. I got too carried away with the music. The music was supposed to be dungeon-y in theme, but it got too dark. In the end, I decided just to roll with it and make something as dark as the track. 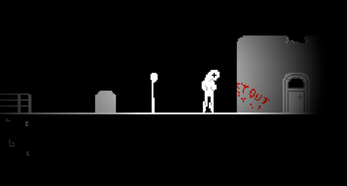 The NPCs self-destruct, as in die, and the entire level has the atmosphere of a dungeon. With the exception of sound effects, all assets were created by me. Sound effects generated by sfxr. Godot 3 was used as the engine (however I'll probably start using Unreal in the future until Godot becomes less janky with lighting and html5 export). Check it out on github if you want. Unzip the file and run ItsOver.exe. This was an interesting game, I really liked the concept! Hey thanks for playing my game! The full release is on hold for now, as I need to think of things that would make the game better rather than just making the game bigger. i loved the idea of the game. it seems that theres no way to die or win in this game, you are stuck. and thet intended. the last scene , when you fall all the way down and you didnt die and it says "no sacrfice in this earth", was clever. if the super dark theme was in bigger game, it will be intersting enough..
thanks for the experience, hope you great future. Thank you very much for playing my game! I originally had a few ways for the player to die, but I thought that took away from the strangeness of the game. i wanna know, how much time it takesfrom you to devlop a very smal game like this. iam wondering what my first small game would be, can i begin with small-content platformer like this? is it hard to make in the first time? or point and click genre is easier to begin with? I made this game for a game jam, so I rushed to finish this game. It took about 1.5 days for me to finish, because I joined late. For someone's first game, I think a small platformer wouldn't be too difficult, especially with all the tutorials that exist. I'd recommend finding a tutorial for whatever type of game you want to make, following that tutorial, and then adding your own ideas on top of that once you've finished the tutorial. 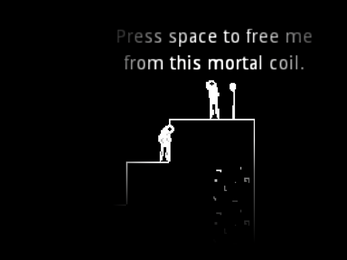 For example in this game, I built upon a basic platformer tutorial (you can see my first attempt at a platformer here). 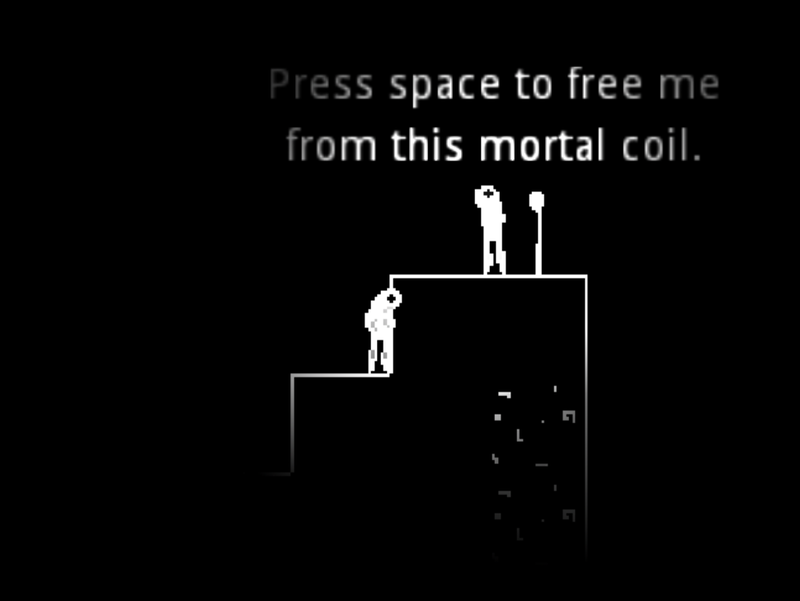 I optimized the code, added enemy/npc interactions, created the typewriter-like text, and added lighting effects. Future games I make will be able to use these features as well, now that I've done it once. The most important part is finishing something. I've tried making many games in the past but never ended up finishing anything until I decided to create something for a game jam. Really neat game, loved the story (if I got any of it correct lol)! Great game for the jam! Really liked the concept of this game!